No matter where you live, often one of the best places to shop for home décor and furniture is your local flea market or antiques fair. But visiting one can be daunting—how do you get the best deals and find the right pieces? 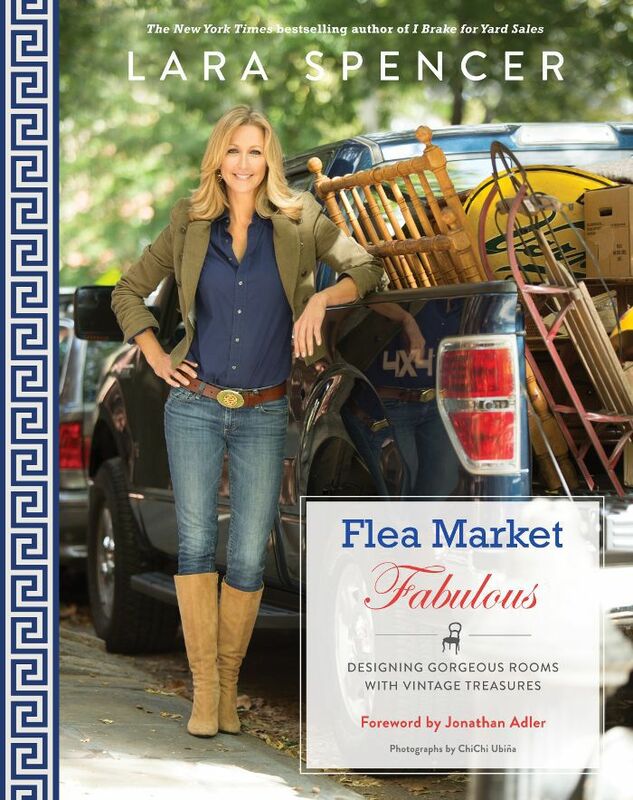 Today, ABC’s Good Morning America co-anchor Lara Spencer, who’s also the host of HGTV’s Flea Market Flip and the New York Times bestselling author of I Break for Yard Sales, brings us her top 12 dos and don’ts of shopping flea markets. Read below to wise up with all her tips—and be sure to pick up a copy of her second book, Flea Market Fabulous, which hits bookshelves today, for further reading. If you are like me and want to see all the good stuff, ask if the flea market has early shopping hours. Sometimes you can pay a little extra to get in before the general public. That's how the big designers and antiques dealers do it! If you can't get to a flea market until late morning or early afternoon, a lot of the really great finds might be sold, but it may still be worth the trip. The last thing dealers want to do is load their trucks back up with their unsold stuff! They are there to sell and are often incredibly negotiable as it gets later in the day. It's okay to haggle a little, as long as you’re nice when asking for a lower price! You'd be surprised how accommodating some dealers can be. Don’t insult flea market dealers by pointing out flaws in the piece you are interested in before offering a ridiculously low offer. I promise you, it will not go well if you do. Do ask the dealer what the price is if a piece is not marked. If you'd like to pay less than they are asking (and who wouldn't, frankly? ), ask them if they would consider taking your lower offer. Chances are, you and the dealer will meet somewhere in the middle on a price that works for both of you. Make sure you go through a flea market more than once. They can be visually overwhelming so it might take two or even three trips through all the rows until you feel like you've really seen everything. Go green! As in … dollar bills! Though some flea market dealers do take credit cards or checks, most will make better deals with you if they know you are paying cash. Bring sunscreen, a hat, and wear layers. From the Rose Bowl in Pasadena, CA, to the Elephant’s Trunk in New Milford, CT, it always seems to be chilly in the early hours and sweltering in the afternoon. Ask about delivery. Don't walk away from a cool midcentury dresser because it can't fit in your car. Many dealers will bring it to your house for a small additional fee. Do make a list so you don't forget what you are looking for. It's easy to get distracted at a flea market. Don't stick solely to your list. It's great to be organized but you never know what you will find at a flea market, so be open-minded. If you see something you love, buy it! If you don't, chances are someone else will, and this is not Pottery Barn. You may never see another thing like it again. What are your best flea marketing tips? Share yours with us below!